From Goodreads: One year after Henry Munroe’s sudden death at age 41, his family is still reeling from the loss. So is Evie Cooper, a local bartender…and Henry’s former mistress. While his widow, Jeanie, struggles with the betrayal, his overbearing mother is devising plans to hold a memorial service on this awful anniversary. And to make matters worse, she might even invite Evie. With her trademark wit, Cathie Pelletier has crafted an elegant, uplifting portrait of the many strange and inspiring forms that grief and love can take in the journey to overcoming loss. 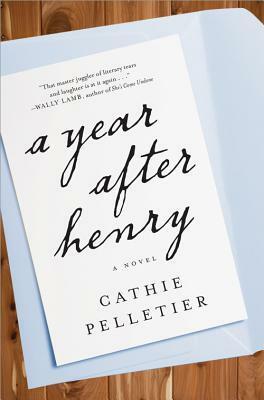 Waiting on Wednesday: A Year After Henry was originally published by Catherine for bookclublibrarian.com. This post cannot be published without attribution.